For centuries, health care providers and folk healers have been using castor oil because of the many benefits it provides. Many think that the ancient Egyptians were the first to discover the many castor oil uses and castor oil benefits. In fact, many believe that Cleopatra used the pale yellow liquid to brighten the whites of her eyes. Castor oil is simple to use and isn’t harsh on your skin, making it an excellent remedy for many different ailments. Castor oil is considered a vegetable oil that is pale yellow in color and is produced by crushing the seeds of the castor oil plant. Many of the benefits gained by using castor oil are a result of its chemical composition. Castor oil is a particular type of triglyceride fatty acid, with nearly 90 percent of its fatty acid substance is ricinoleic acid, which is an unsaturated omega-9 fatty acid. What are the Side Effects of Castor Oil? How Much Castor Oil is Safe? Castor oil has traditionally been used as a remedy for treating various skin conditions and infections, relieving constipation, and increasing the health of hair. However, recent studies have shown that castor oil can be used to support the immune system, and an anti-inflammatory agent, antimicrobial agent, and lymphatic stimulant. You can use castor oil in a couple of different ways. Apply it directly to the skin, use it through a castor oil pack, or mix it with other oils to use it as a topical remedy. Orally, add it to milk or lukewarm water or taken in the form of a supplement. Castor oil’s anti-inflammatory properties make it an excellent massage oil for arthritic joints, sore muscles, and inflammation of your nerves. The ricinoleic acid that castor oil contains possess the ability to boost anti-inflammatory properties within the body and is considered a safe remedy for arthritis pain. 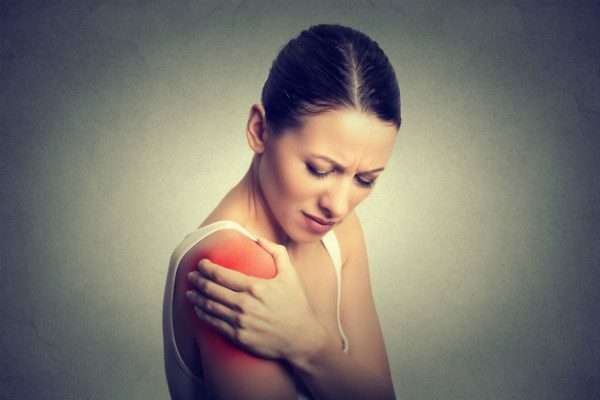 Here are the various ways you can use castor oil to treat arthritis pain. Take a piece of unbleached cotton flannel fabric and fold it to create three to four layers. Soak it in castor oil and place it over the affected joints. Wrap the cloth with saran wrap and put a heating pad or hot water bottle over the area. Leave it for at least 45 minutes. Do this once a day to help reduce pain and inflammation in your joints. The saran wrap will prevent the heating pad or water bottle from getting oily. Reuse the pads by placing them in a Ziploc bag in the refrigerator until you’re ready to use them again. Take it orally by adding a tablespoon of castor oil to your favorite beverage. Massage warm castor oil into the affected joints. To promote proper absorption, massage into the skin before you go to bed and leave it on overnight. To avoid scalding the skin, make sure the castor oil is not too hot when applying to the affected area. When treating severe arthritis pain, add a pinch of ginger powder to a boiling glass of water. Once the water has cooled, add two tablespoons of castor oil. Be sure to mix the concoction well before drinking. This remedy works best when you drink it when you first wake up or right before you go to bed. If you dislike the taste of castor oil, take a castor oil supplement or pill. However, this won’t be as useful as pure castor oil. Stretch marks are often caused by pregnancy and rapid weight gain, but can also be a result of aging, hormonal imbalance, sudden weight loss, and swelling. Castor oil is known as one of the best treatments for a variety of skin conditions. Its rich contents and various fatty acids make it an excellent moisturizer and effective treatment for getting rid of unsightly stretch marks. Using your fingers, massage enough castor oil over the stretch marks to cover the entire affected area. For added moisture, mix two tablespoons of coconut or almond oil with one tablespoon of castor oil. Avoid applying the treatment to the broken skin. Use a thin cotton cloth to cover the area. Leave the cloth on the area for about 15-20 minutes to help ensure the oil penetrates deeply. Covering the area with a heating pad or hot water bottle will speed up the results. Repeat this process on a regular basis to see a significant reduction in the appearance of your stretch marks. The common skin condition, acne, is a result of impurities accumulating in your pores, causing the skin to become irritated and inflamed. Many of the acne remedies on the market today contain benzoyl peroxide and salicylic acid, which tend to dry out the skin. Castor oil, similar to using neem oil, is a natural resource that will draw out dirt, dead skin cells, excess oils, and bacteria without drying out your skin. Place a bowl of boiling water on a stable surface and grab a towel. Holding the towel over your head, lean over the bowl of water. Doing this opens up your pores, which allows the castor oil to penetrate your skin deeply. Keep your face over the bowl for several minutes. Take a washcloth and moisten it with warm water, and apply a small, dime-sized amount of castor oil to the cloth. Gently rub the affected area with the washcloth. Use small circular motions when applying the castor oil to the area. Leave the castor oil on your skin overnight. When you wake up, remove the castor oil using a damp towel to wipe away the oil. Using cold water, splash your face several times. Cold water will shrink your pores, while warm water will open up your pores. Pat your skin dry and use a facial cleanser to clean away the remaining castor oil. For the best results, repeat these steps on a daily basis for between 10 and 14 days. You can use castor oil to prevent acne by following this process a couple of times a week. Along with treating acne, you can use castor oil as a deep facial cleanser. Unlike the harsh chemicals in over-the-counter and prescription facial cleansers that dry out your skin, using castor oil as a deep cleanser will get rid of pimples fast, deep-clean your skin of dirt, bacteria, dead skin cells, and excess oils while keeping your skin soft, supple and flawless. Using a generous amount of the oil blend in the palm of your hand, rub them together to warm up the oil. Using slow, firm motions across your skin, massage the oil into your face, paying particular attention to any areas that may be a problem. When your pores are thoroughly saturated, take a clean washcloth and soak it in hot water. Place the washcloth over your face. Leave it on until it has become cool to the touch. Gently wipe your face with the washcloth, and then rinse it in hot, running water. Repeat these steps several times to thoroughly clean your face. Be sure to not scrub your face hard during the final step of the process. Castor oil is great for reducing fine lines and wrinkles because it penetrates deep into your skin, which stimulates the production of elastin and collagen. These two components in the skin are responsible for its elasticity and tautness. Castor oil’s emollient properties allow the skin to quickly absorb it, keeping your face hydrated and plump, which is also important in reducing the appearance of fine lines and wrinkles. To ensure you get the most out of the castor oil treatment follow these steps. Clean your face with your regular facial cleanser and cold water. Using a towel, pat your skin dry. Remove any traces of the cleaner with a cotton ball soaked in toner. If you don’t have toner, you can use rose water or witch hazel. Allow the toner to dry, then pour a small amount of castor oil into the palm of your hand, rubbing hands together to warm up the oil. Gently massage the oil into your face using small, circular motions. Repeat the process every day. For maximum benefits, apply the oil to your face at night, before going to bed. Castor oil, and more specifically, Jamaican Black Castor oil, has become a popular treatment for growing healthier, thicker hair. When regularly used on your roots, it can increase hair growth, reduce hair damage from products and styling, hydrate hair, make hair shinier and fuller, prevent dry scalp, and improve the overall health of your hair. When you apply it to the ends of your hair, the castor oil can help reduce frizz and repair split ends. Follow the steps below to help strengthen and grow your hair. Apply castor oil to your scalp and roots using your fingertips. Make sure to distribute it on your scalp evenly. Try to avoid getting the oil into the strands of your hair. Due to its thickness, it can be difficult to remove. Cover your hair with a plastic shower cap and wrap your head with a towel. Allow the oil to remain on your hair for at least fifteen minutes. For best results, leave in overnight. To remove the castor oil, wash your hair thoroughly with shampoo. For the best results, repeat the process every week for 6 – 8 weeks. Follow the steps below to use castor oil to relieve constipation. Add between 30 and 60 grams of castor oil to a glass of lukewarm milk. Substitute a glass of lukewarm water if you don’t like milk. Add some ginger to the concoction if you find the smell too strong. In about an hour, you will begin to feel the effects of the castor oil. Using castor oil regularly is believed to improve various immune system functions, including lymphatic drainage, thymus gland health, and blood flow. The lymphocytes, which is a type of white blood cell found in the body’s immune system, attack perceived threats to the body and outside invaders like bacteria and toxins. The use of castor oil helps the body produce the proper levels of lymphocytes, which are stored and released into the lymphatic tissue from the lymph nodes, thymus gland, and tissue from the small intestine. Apply castor oil packs to your abdominal area to increase the body’s absorption of the oil. A relatively common skin condition, ringworm is caused by a fungus and grows into a ring-shaped, red rash. Studies show that nearly 20 percent of the population has suffered from ringworm at least once in their life. While it can be a pain to deal with, castor oil is an excellent treatment for ringworm. The undecylenic acid found in the castor oil acts as an antifungal agent that kills the infection. Castor oil is great for reducing and preventing the appearance of scars. The many fatty acids found in the oil help stimulate the lymphatic system in the body, which is essential for preventing scars. While it can’t eliminate scars that you already have, it can reduce their appearance. Castor oil’s miraculous ability to hydrate the skin makes it a perfect remedy for treating cracked heels. It is rich in vitamins, and essential nutrients help to hydrate dry, cracked skin. Simply rub castor oil on your feet, put on a pair of socks, and leave on overnight. You’ll notice a dramatic difference. With the same cooling sensation as aloe, castor oil is great for alleviating painful sunburns. The ricinoleic acid will protect any blisters that pop up from becoming infected and reduce the inflammation associated with sunburns. Castor oil has been proven to be an effective way to grow and strengthen your hair. But did you know that it can also work to thicken your eyebrows? The antioxidants, proteins, vitamins, fatty acids and nutrients it contains all work to nurture the hair follicles and fight against bacteria that may be a factor that hinders growth. 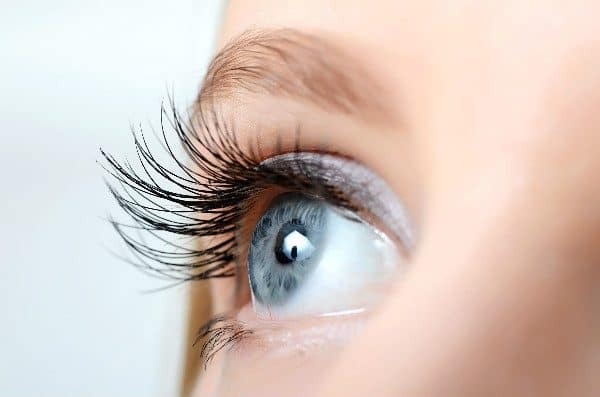 The vitamin E, proteins, minerals, and antibacterial properties of castor oil can help strengthen and lengthen your eyelashes when applied on a regular basis. It penetrates deep into the skin when applied to the area, moisturizing and refreshing the area to help the eyelashes grow quicker and prevent them from breaking. When mixed with a little baking soda, castor oil can be an excellent way to get rid of unsightly moles and skin tags. You simply have to apply the paste to the affected area and cover it with a bandage. Doing this daily for four to six weeks will eliminate the moles and skin tags. Castor oil has a high concentration of vitamin E, which works wonders for brittle, dry nails. Massaging it into your nails and cuticles every evening will result in soft cuticles and healthy looking nails. Castor oil has many uses, but did you know that you can use it to liven up your ferns? The high amount of minerals and vitamins will do wonders if your ferns look unhealthy. Combine warm water, castor oil, baby shampoo, and add several drops of the mixture to the soil. Follow up with regular watering, and within a couple of days, your ferns will be perky once again. If you have trouble with moles trashing your yard, castor oil could be just what you need to send them on their way. Mix two gallons of water and a half a cup of castor oil and pour it down the mole holes. The solution won’t kill the moles, only make it unpleasant enough that they will find another place to dig. Castor oil is widely known to be an excellent natural remedy for constipation, but can also be used to benefit your hair, skin, and face. Scientists and doctors believe that the high concentrations of unsaturated fatty acids that are present in Castor oil are the reason for its incredible health benefits. 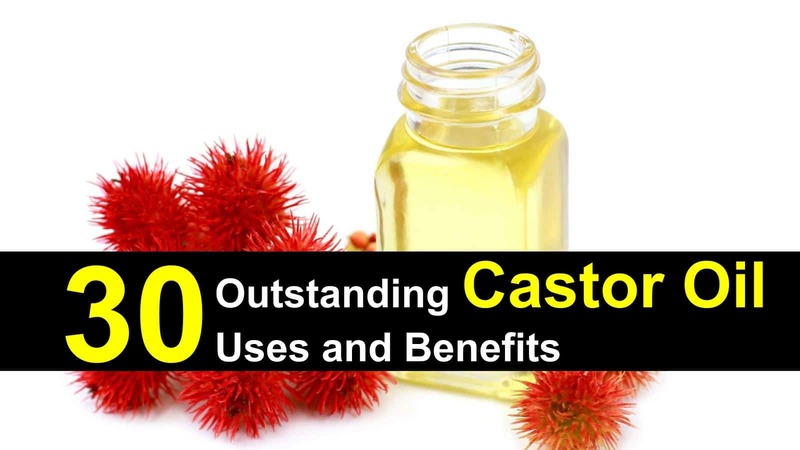 Below are some of the most common benefits of using castor oil. Your lymphatic system is responsible for expelling metabolic waste from your body. When you have drainage problems or flow disruptions, castor oil can help to get things moving again. Applying castor oil packs to your lymph nodes allows your body to absorb the oil quickly. Castor oil has strong antibacterial and anti-inflammatory properties that help to heal bug bites, rashes, and itches. To relieve skin inflammation within a small area on the skin, simply soak a bandage with castor oil and apply it to the affected area. For larger areas, soak a cotton ball in castor oil and apply it to the affected area. Rinse it off after an hour, repeating several times throughout the day. The undecylenic acid found in castor oil is an active ingredient that is great for relieving fungus in the body. To treat toenail fungus, soak your feet in warm water and Epsom salt for five minutes. Follow the soak by liberally applying castor oil to the affected toenail. The fatty acids found in castor oil help to hydrate and moisten dry, chapped lips. Apply castor oil to your lips several times a day to hydrate and moisturize. You can also create a soothing topical treatment by mixing castor oil, glycerin, and lemon juice. Apply before bed to hydrate chapped lips. A natural pain reliever, castor oil is great for relieving headaches and migraines. To help relieve symptoms of migraines and headaches, rub a teaspoon of the oil into your forehead for about a minute. You should start feeling the effects within two to three minutes. Massaging warm castor oil over your abdomen can be an excellent way to relieve the symptoms of menstrual cramps and period pain. The ricinoleic acid in castor oil works as an anti-inflammatory and is an analgesic agent which helps relieve pain. Castor oil packs are perfect for relieving menstrual cramps. The antibacterial and anti-inflammatory properties of castor oil make it the perfect natural remedy for treating mouth sores. To address sores in your mouth, apply a small amount of castor oil or peppermint oil to the area. After several minutes, rinse your mouth out with water and repeat several times throughout the day. When rubbed directly onto the skin, the ricinoleic acid is better able to penetrate deeper, helping to relieve inflammation in the tissues. To gain relief from sore and painful muscles, place a castor oil pack on the affected area and cover with a heating pad or hot water bottle. The heat helps deliver the castor oil to the inflamed joints and tissue. If you suffer from insomnia, castor oil can help you fall asleep. Instead of taking harmful (and sometimes habit-forming) medication to help your insomnia, rub castor oil along your eyelids before going to bed. Your body absorbs the oil and promotes healthy circulation, helping you to become more relaxed, inducing help you sleep. Corns on your feet can be painful and irritating. The hydrating abilities of castor oil can help to remove them. To treat corns, soak your feet in warm water for about fifteen minutes. Dry your feet and apply castor oil to the corn. After about ten days of treatment, you should be able to peel the corns away easily. Castor oil contains the biochemical agent undecylenic acid, which is used to stop fungal growth. The undecylenic acid makes the natural remedy ideal for numerous types of fungal infections including yeast infections, athlete’s foot, and ringworm. Mix with coconut oil and apply it to the affected area and left on overnight until the fungus heals. Users believe Jamaican black castor oil to be one of the most potent mixtures you can get. The increased potency that the Jamaican castor oil offers is as a result of how they process it. Unlike regular castor oil, Jamaican black castor oil is produced by roasting and grinding the organic seeds manually, before being boiled to extract 100% pure dark oil. Cooking the beans for an extended amount of time results in an increased production of ash content. When castor oil contains a high concentration of ash, it is believed to be more efficient because the ash increases the potency of the oil. The darker the oil appears; the more ash it contains. Castor oil comes from pressing the seeds of the Ricinus Communis (castor oil) plant. The plant is highly toxic and contains protein and alkaloid ricin. To make castor oil, take the beans from the castor oil plant and roast them. Next, press the beans to release the oil. Please be advised that due to its high toxicity, making castor oil at home is not recommended. Castor oil is a natural remedy and has been deemed safe to use in limited amounts. However, you may still experience some mild to moderate symptoms if you take too much of it or consume it for an extended period. Before applying a significant amount of castor oil to your skin or ingesting it, determine if you are allergic to it by conducting a patch test. Place a small amount of castor oil on your forearm and let it sit for 24 hours. If you have any reaction, even if it is slight redness or itching, avoid using castor oil for any reason. When taking castor oil, it is important to exercise caution. If you take too much castor oil, it could result in an overdose or poisoning, which could lead to more serious health complications. Use castor oil to care for your skin. Whether you have oily, combination, or dry skin, castor oil is a useful treatment. Oily skin can be a problem for a couple of reasons. The first problem is that oily skin can give your face a shiny appearance, which others may view as unattractive. Additionally, your face will be oily to the touch. The second problem is that the oil on your face can clog your pores. 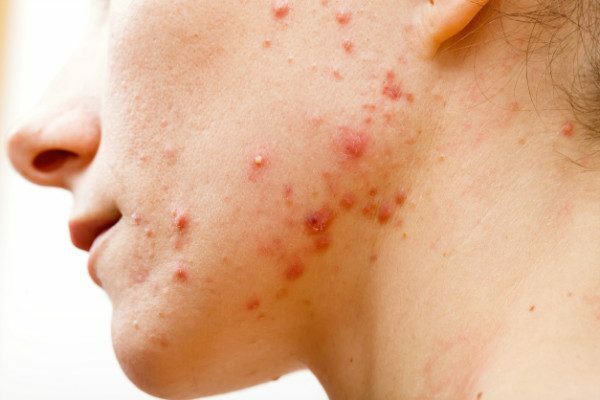 When your pores are clogged, you start forming acne, which gives your skin an unattractive appearance at best and causes permanent scarring at worst. When you have combination skin, it means your face is dry in some areas and oily in other areas. Many people have combination skin. You may have heard of the T-zone (so named because the area looks like a ‘T’), which is the central part of the face consisting of the eyes, nose, and mouth. The T-zone is where the skin tends to be oily; the cheeks and area under the eyes might be dry or even flaky. The recipe to treat combination skin resembles the recipe for oily skin, though you’re using less castor oil and more sunflower (or extra virgin olive) oil. Scaling, itchiness, and cracking characterize dry skin. In general, you’re more likely to experience dry skin in the fall and winter months, when the air is dryer. You might also experience it as you get older, as your body produces less oil. More specifically, there are a few lifestyle changes available if you’re experiencing dry skin. When you shower, use warm water (rather than hot) as hot water reduces the amount of oil on your skin. After showering, pat the skin dry rather than rub it. Consider showering every other day instead of every day, use soap with moisturizing properties, and apply lotion (also with moisturizing properties) as soon as you get out of the shower. As mentioned above, castor oil is fantastic for promoting hair growth. Even if you’re not looking to promote hair growth, castor oil makes an excellent substitute for hair conditioners. Castor oil possesses a variety of antibacterial, anti-fungal, and antiviral properties, meaning it treats dandruff. Its heaviness helps tame frizzy hair and split ends, and its moisture-richness penetrates your hair and promotes a beautiful shine. To use castor oil as a conditioner, mix castor oil and Jojoba (or Argon) oil. If you’re treating dandruff, consider also adding the juice from half a lemon. Your particular medical condition, your age, and your weight will determine the right amount of castor oil to take. Talk to your healthcare professional before taking any castor oil as they can provide you with the right dosage. Castor oil is often considered a remedy for relieving constipation; however, it can do so much more than that. From helping you regrow and strengthen your hair, to treating arthritis, castor oil uses and benefits are numerous. Since its first uses in ancient Egypt, the various castor oil uses and benefits are popular with people around the world. 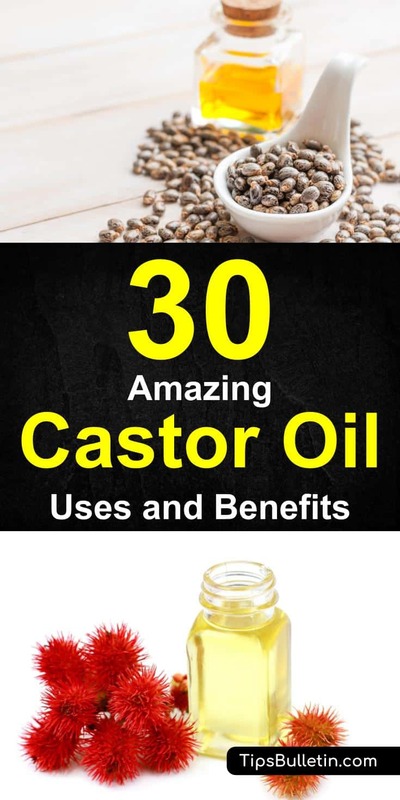 If you found this article useful in learning more about castor oil, use the buttons below to share on Facebook, Twitter, and Pinterest with your friends and family.